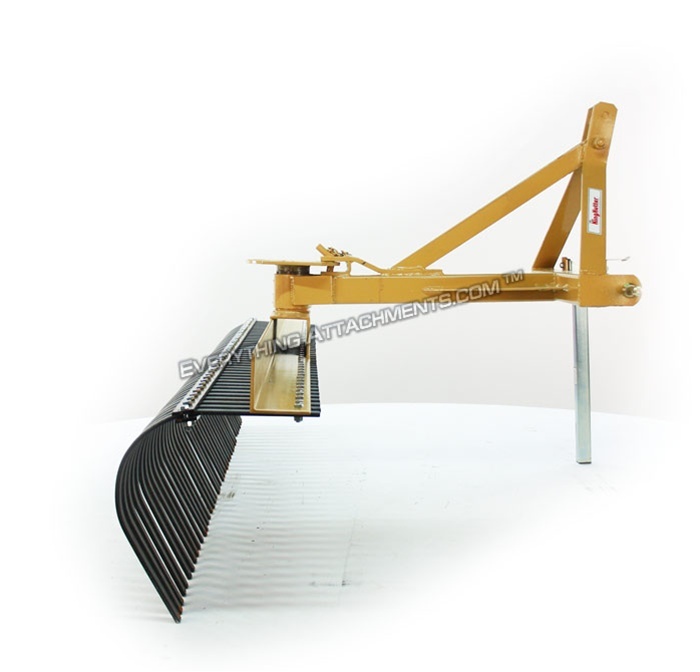 KING KUTTER Quick Hitch YARD RAKES are engineered for versatility by accepting the Quick Hitch or Standard hitch so that it fits almost every Category 1 Tractor, for the professional landscaper, farmer, homeowner or contractor. They are a great tractor attachment for gravel road grading, lot maintenance, seed bed preparation, pasture renovation, the removal of rocks, roots, or trash, plus much more. 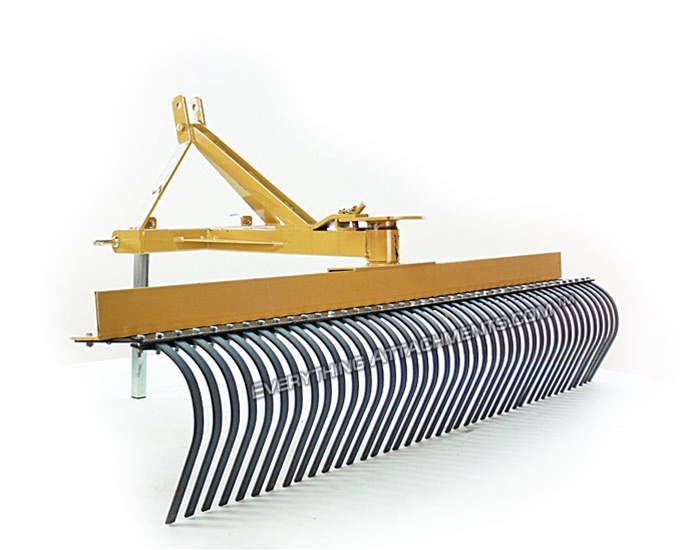 These landscape rakes are equipped with 5 forward and 5 reverse settings for maximum flexability and maneuverability. 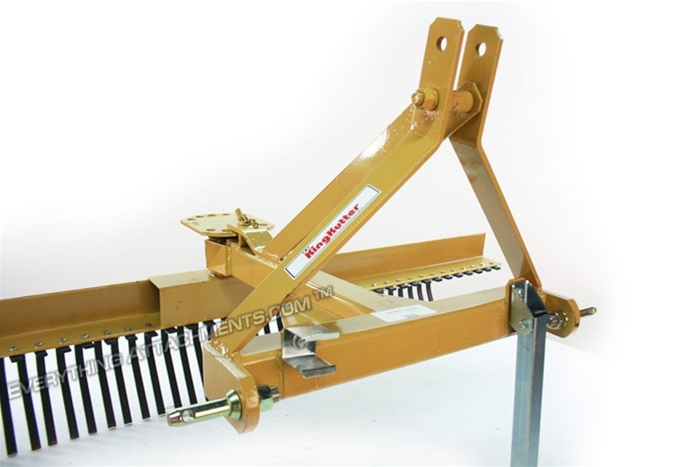 The unique design features an adjustable stabilizer bar that allows the heat treated spring steel tines to be more or less rigid, and a reinforced, 3-point wrap around frame for added strength. 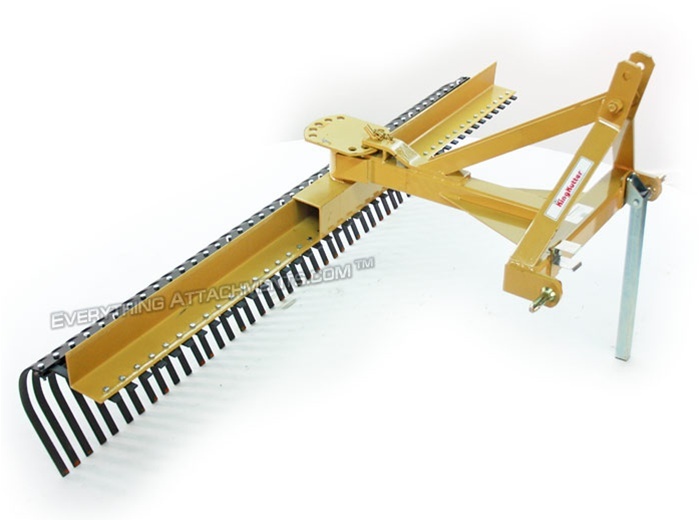 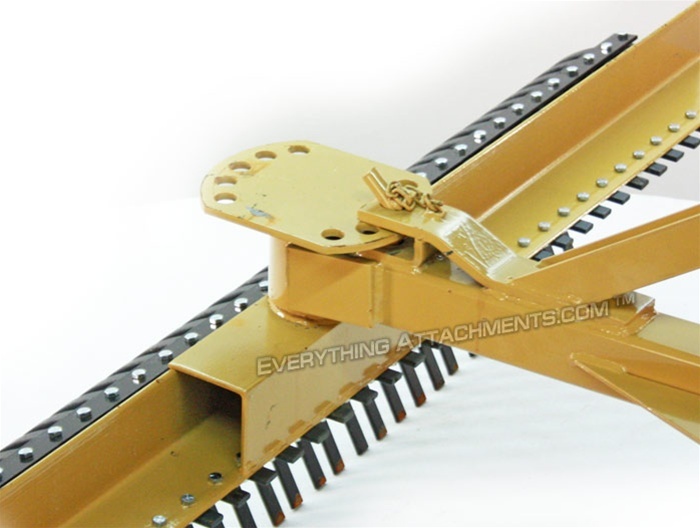 this landscape rake by King Kutter has a 3" x 3" angle beam tine frame, with 1" spacing between the tines. 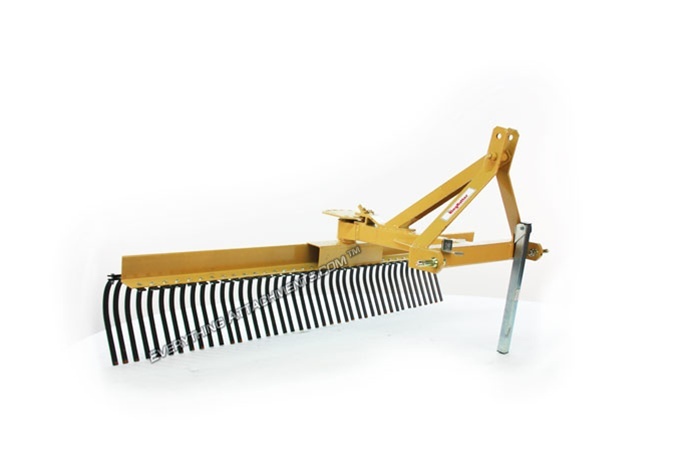 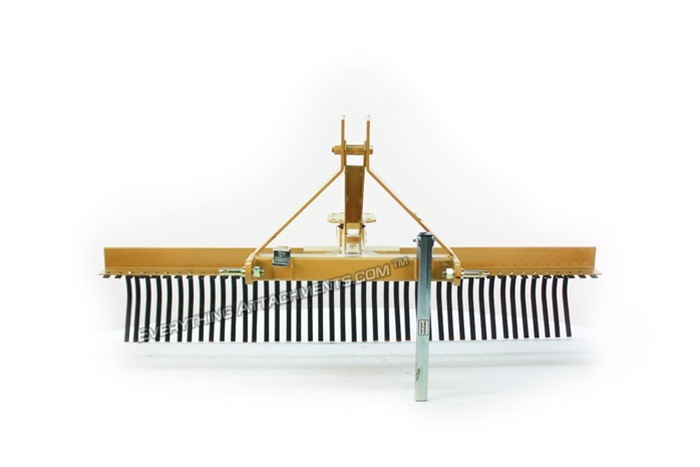 This Landscape rake is available in 60", 72", 84", and 96" widths that range from 30 teeth to 48 teeth. 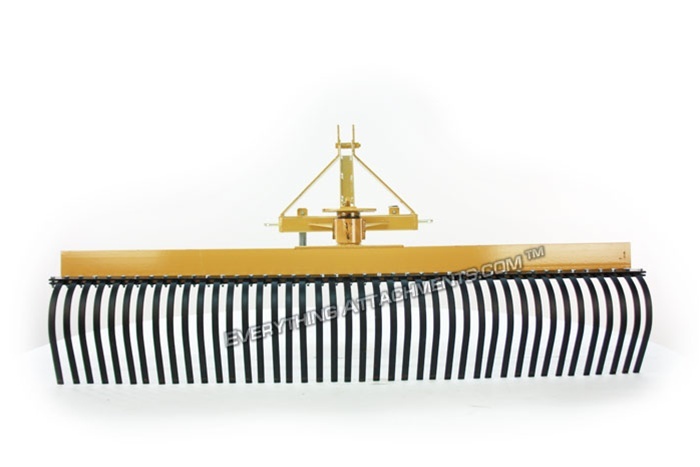 Optional gauge wheel kits are available.